Twelve inmates of a non-government children’s home, Anubhav of Jalpaiguri, have been injured in the accident. Three of them are critical. The accident took place around 7.30 pm this evening near Mungpoo in Darjeeling sub-division on National Highway 10 that links Siliguri to Sikkim and runs along the Teesta river. Rambi is about 40 km from Siliguri. The children from Jalpaiguri, accompanied by Sunanda Mukhopadhyay (76), Gopa@Gouri Dutta Choudhury (51) and a few other supervisory staff of Anubhav, had gone on a New Year picnic at Mongpoo in the hills this morning on a hired small bus. After the picnic, they were returning to Jalpaiguri in the evening, when the driver lost control, and the bus fell into a road side gorge. 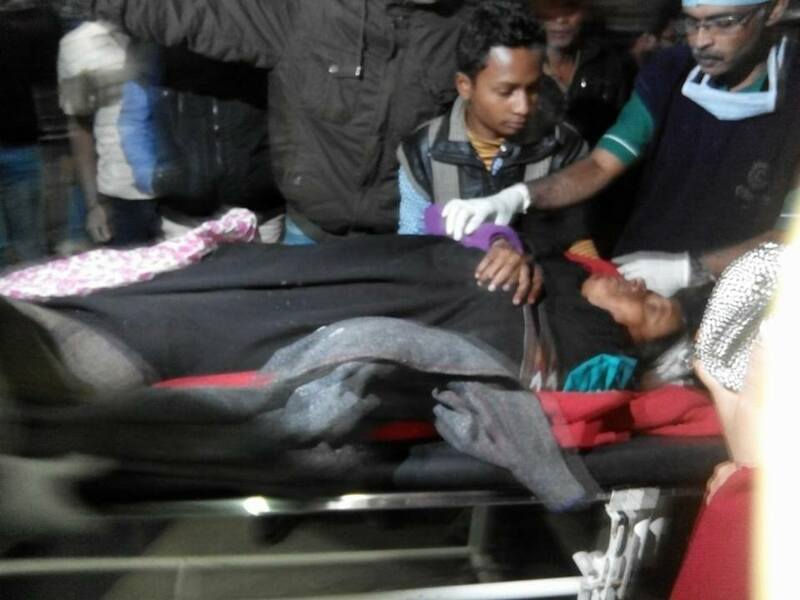 Mukhopadhyay and Choudury were grievously injured and were brought to Rambi BPHC, sadly both of them could not survive the accident;12 of the other injured were rescued in injured condition by people from passing by vehicles and the police. They have been rushed to a private nursing home in Siliguri, where they are undergoing treatment now. The condition of three of them is critical, police said. Deceased Mukhopadhyay was the daughter-in-law of the late Tagore biographer; she used to live at Santiniketan and went to Jalpaiguri on a vacation. It is not yet clear as to how the driver lost control on the hill road. As of now, only sketchy details are available as regards the nature of the accident.